LIMA, PERU and TORONTO, ON –(March 31, 2016) – Telefónica Educación Digital S.L.U. (“Telefónica“), a company within the Telefónica Group that offers comprehensive online learning solutions for education and training, and ELL Technologies Ltd. (“ELL Technologies”), a subsidiary of Lingo Media Corporation (TSX VENTURE: LM)(OTCQB: LMDCF) (“Lingo Media), an EdTech company that is ‘Changing the way the world learns English’ through innovative online and print-based technologies and solutions, are pleased to announce that they have entered into a commercial distribution partnership. Telefónica has been granted the rights to market, sell and distribute ELL Technologies’ full product suite of English language training products in Peru. “We are pleased to finalize this agreement with Telefónica as we recognize the company as a key strategic distribution partner in the Peruvian marketplace, that will help us make significant inroads in this market,” commented Michael Kraft, President & CEO of Lingo Media. “Telefónica will work with ELL Technologies to help grow our existing sales pipeline, as well as reach out to their own industry contacts. Both companies have previously worked together on select smaller projects and the experience was very constructive. We are excited about the opportunities that this new partnership offers. In 2014, Telefónica Educación Digital experienced great growth, with over 400 employees in 5 countries (Spain, Colombia, Chile, Peru and Brazil), 300 customer groups and 4 million students via different platforms. The company has expanded its product and services portfolio in the education field by carrying out teacher training programs and deploying educational technology platforms for schools, to provide a more customized and collaborative digital learning approach. Telefónica Educación Digital is a company within the Telefónica Group that specializes in offering comprehensive online learning solutions for Education and Training. They rely on a multi-skilled team of educators, consultants, technology experts, web developers, web designers, managers, teachers, tutors and student assessors that develop a wide range of eLearning products and services aimed at its customers. 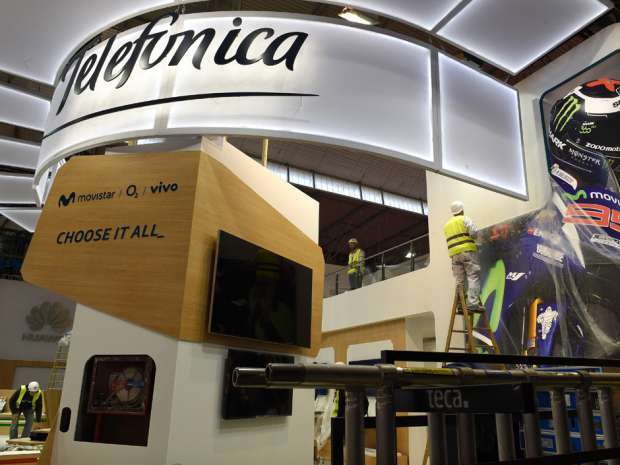 Telefónica Educación Digital’s parent company Telefónica, S.A. is one of the world’s largest telecommunications network operators by market capitalization and number of customers. What’s more, taking into account every sector of activity, it is one of the 50 largest companies in the world by market capitalization and one of the 100 biggest in terms of revenue. Present in 21 countries with 125,000 professionals. Consolidated revenues of 47,219 million euros in January-December 2015 and more than 322 million total accesses at December 2015. To learn more, visit www.telefonicaeducaciondigital.com.